youtube _ upload speeds ? I have been trying to upload youtube vidoes only to find that they start of fine for the first 1min then the upload speed dies I get 100K+ then they go to nearly zero.....and the minutes left go from say 40 mins to over 2000 mins? 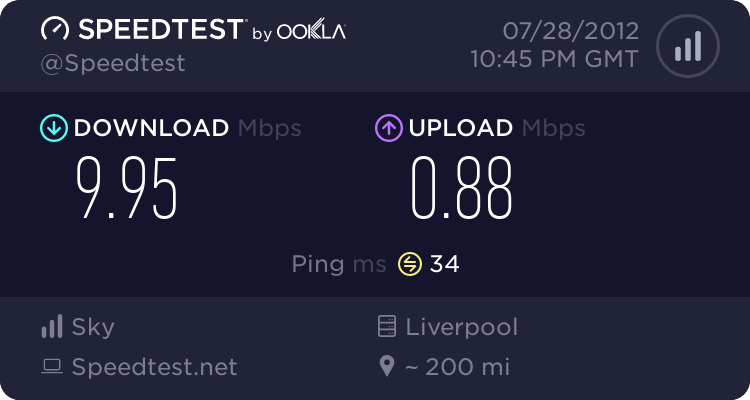 i should be geting up to 1.1 meg upload and normally get 10meg download ? 11541 mins = 192 hrs to up load a 2hr video? when the other day I more or less uploaded the same in 1hr 1/2 ?? Re: youtube _ upload speeds ? 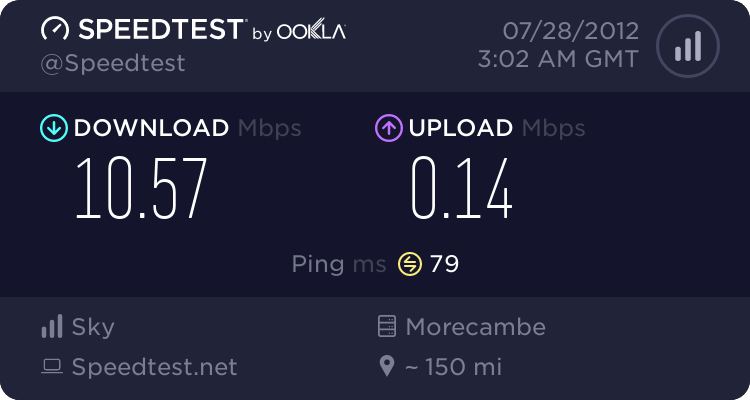 really going to have to look at this and my ISP postion on this!! Bandwidth throttling is the intentional slowing of internet service by an internet service provider. It is a reactive measure employed in communication networks in an apparent attempt to regulate network traffic and minimize bandwidth congestion. Bandwidth throttling can occur at different locations on the network. On a local area network (LAN), a sysadmin may employ bandwidth throttling to help limit network congestion and server crashes. On a broader level, the Internet Service Provider may use bandwidth throttling to help reduce a user's usage of bandwidth that is supplied to the local network. This can be used to actively limit a user's upload and download rates on programs such as video streaming, BitTorrent protocols and other file sharing applications, as well as even out the usage of the total bandwidth supplied across all users on the network. Bandwidth throttling is also often used in Internet applications, in order to spread a load over a wider network to reduce local network congestion, or over a number of servers to avoid overloading individual ones, and so reduce their risk of crashing, and gain additional revenue by compelling users on to more expensive pricing schemes where bandwidth is not throttled.